E-commerce gaint Amazon Inc.'s local arm, Amazon India, has taken on lease over 30,000 square feet of office space at One BKC building in Bandra Kurla Complex area of Mumbai for its corporate headquarters. The e-commerce giant will pay monthly rent of Rs 265 per sq ft, entailing an outgo of Rs 9.5 crore a year, a Business Standard report said quoting a spokesperson for Radius Developers, which owns the property. 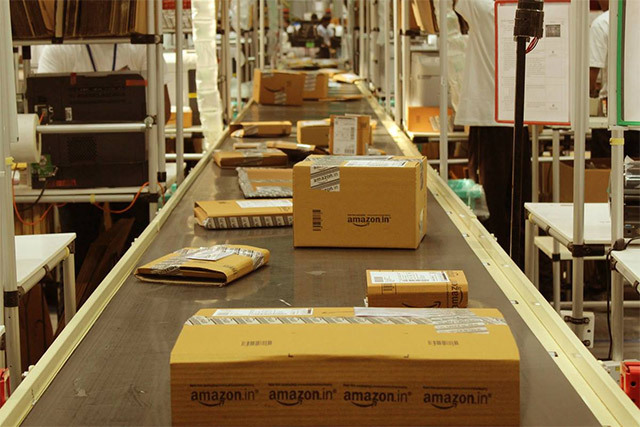 Amazon, as it looks to widen its warehousing capacity around western India, may also take another 10,000 sq ft in the same building this year, the report said. The facility will house Amazon's sales, marketing and regional seller services teams. US-based consultancy firm JLL advised Amazon on the lease transaction. A mail sent by VCCircle to Radius Developers did not elicit any response till the time of filing this report. Responding to VCCircle's email query, Amazon said in a statement, "As a company policy, we do not comment on what we may or may not do in the future." Last year, Amazon had struck a deal for a 1.3 million sq ft office space in Bagmane World Tech Centre in Bangalore at an estimated annual rent of Rs 85 crore and also opened a 280,000 square feet, 'fulfilment centre' (FC) in Mahabubnagar district, about 60km from Hyderabad. Homegrown Flipkart, Amazon's major rival in the Indian market, had agreed to take 3 million sq ft of prime office space in Bangalore from realty firm Embassy Group at an annual rent of Rs 300 crore in October 2014. In December 2015, Amazon said it become the most visited e-commerce site in India beating local rival Flipkart in the month of October last year citing comScore data. The report said Amazon.in clocked 30 million unique visitors during the month ahead of Flipkart.com, Jabong.com and Snapdeal.com. A year ago Rocket Internet-incubated online fashion retailer Jabong was the most visited Indian e-commerce site followed by Flipkart, Snapdeal and Amazon. The comScore data shows Jabong lost the pole position in eyeballs game at the beginning of this year to Flipkart and soon thereafter slipped below Amazon. It was around the same time that Amazon scrapped a proposed deal to buy Jabong.